1905: Ida Karskaya is born in Bender (Russia, province of Bessarabia, present-day Moldavian Republic). 1922: Leaves her country to study medicine in Ghent (Belgium) where she stays one year. 1924: Moves to France, marries the painter Serge Karsky in 1930. She herself starts painting a few years before the war and becomes acquainted with Chaim Soutine who encourages her to continue. 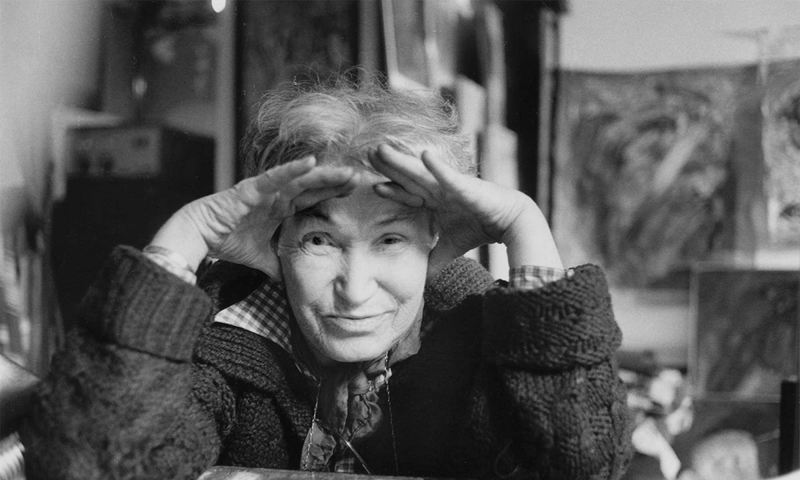 Karskaya will remain on friendly terms with Soutine until his death. 1936: Birth of her son Michel. 1943: First one-woman show in Montpellier, Galerie Favier. 1945: Jean Paulhan, whom Karskaya met before the war, becomes interested in her work and introduces her to Fautrier, Wols, as well as writers whom she will befriend: Henri Calet, Francis Ponge, Maurice Nadeau, Marc Bernard, and others. Serge Karsky gives up painting and devotes himself to journalism, writing first for the newspaper Combat, then for Le Monde. 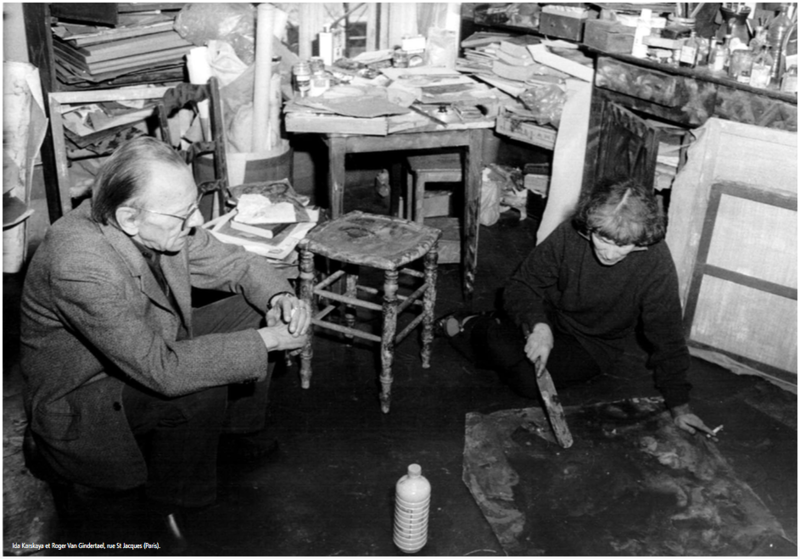 1946: First one-woman show in Paris, Galerie Pétridès, with a preface by Francis Carco. 1949: One-woman show “20 Jeux nécessaires, 40 gestes inutiles” (20 Necessary Games, 40 Useless Gestures) in Galerie Breteau, Paris, with prefaces by Henri Calet, Marc Bernard, Francis Ponge, Maurice Nadeau, Jean Paulhan. 1950: Death of Serge Karsky, on March 21st. One-woman show “Nouveaux Jeux nécessaires et Gestes inutiles” (New Necessary Games and Useless Gestures) in Galerie “Calligrammes,” Paris. 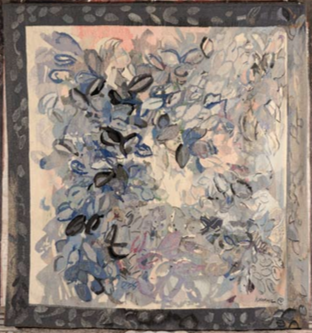 1952/54: Karskaya begins to make collages, has an order for an Aubusson tapestry. Travels to Spain, holdsone-woman show “España” in the Galerie Colette Allendy, Paris. She is awarded a prize by the City of Paris for her tapestry. Participates in an exhibition in Galerie Aujourd’hui, Palais des Beaux-Arts, Brussels. 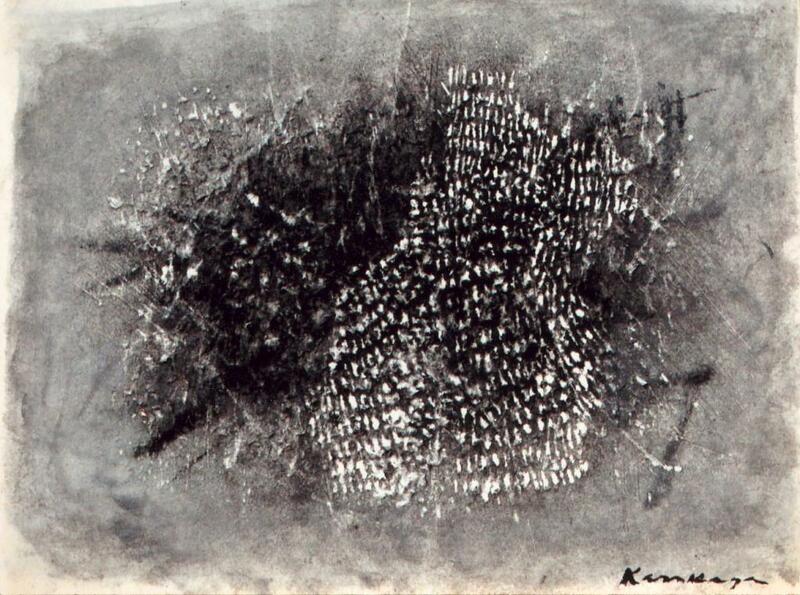 1955/56: Karskaya paints a series called “Lettres sans réponse” (Unanswered Letters). 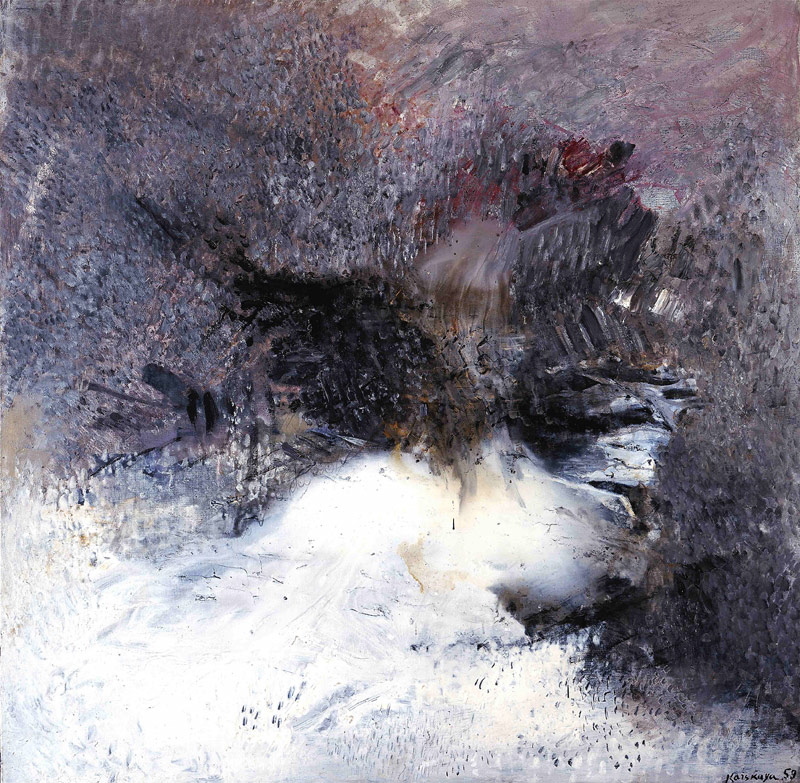 Exhibits in Galerie Arnaud in Paris, with Jeanne Coppel and John Koenig; exhibits in Galerie Orange in Lyon and in the Rose Fried Gallery in New York. Participates in an avant-garde festival in Marseilles. Participates in an exhibit at the Museum of Picardie: “Permanence de l’art” (Permanence of Art) in Amiens. 1957: One-woman show in Galerie La Roue, Paris. Participates in the exhibitions “Éloge du petit format” (Praise of the Small Format) and “Miroirs de papier” (Paper Mirrors) with introductions by Imre Pan. Participates in the exhibition “Analogies” in Galerie Arnaud, Paris, as well as in the exhibition “50 ans de peinture abstraite” (50 Years of Abstract Painting) in Galerie Creuse, Paris, preface by Michel Seuphor. 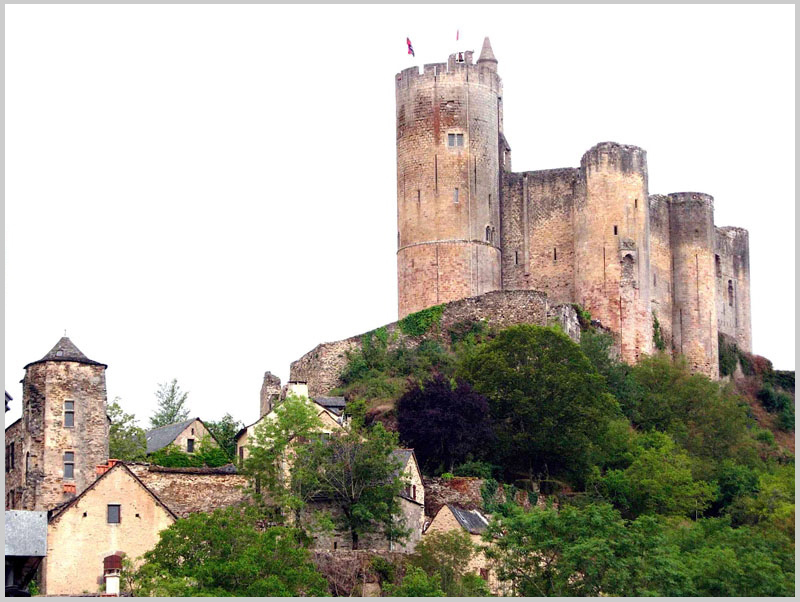 1958: Discovers the village of Najac in Aveyron, where she will work for many summers. 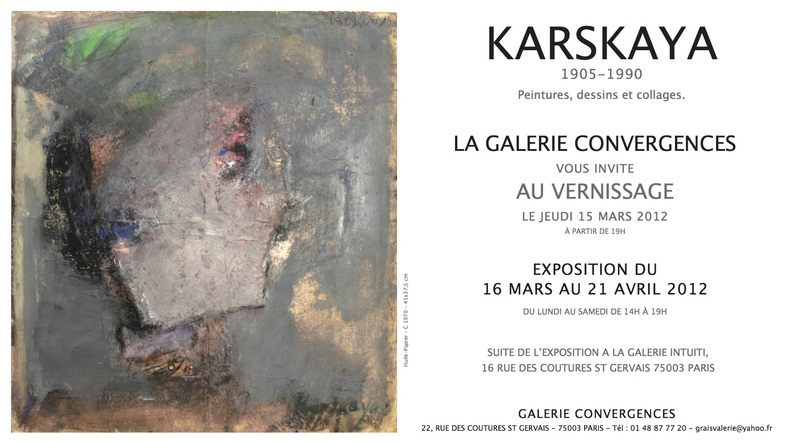 “Karskaya – Cousins” exhibit in Galerie Tallandier, in Lille. Participates in the art show “Comparaisons” in Brussels. 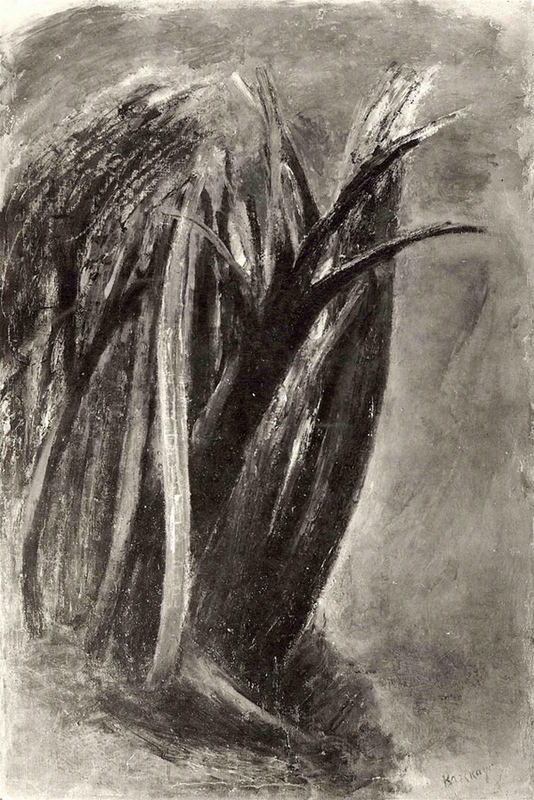 1959: Begins the series “Gris quotidiens” (Daily Grays), shown in Galerie La Roue, Paris.1959 : Début de la série des “Gris quotidiens”, exposés à la Galerie “La Roue”, Paris. 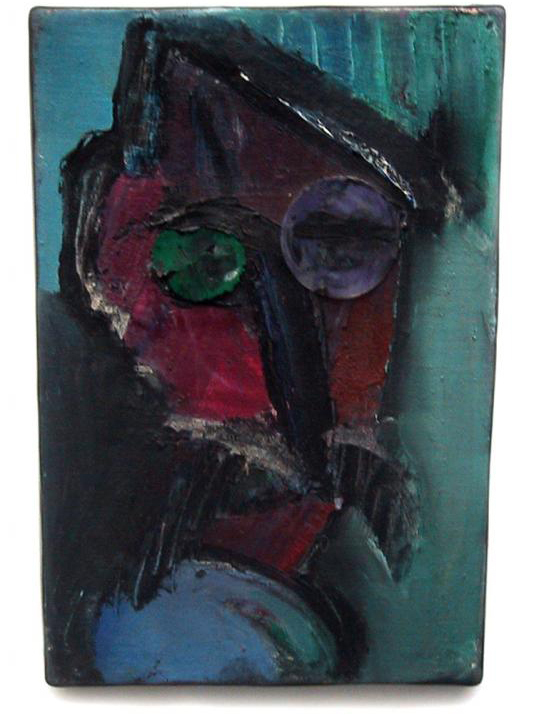 Participates in the show “Itinéraire d’un jeune collectionneur” (Itinerary of a Young Art Collector), Galerie Kléber – Jean Fournier, Paris. 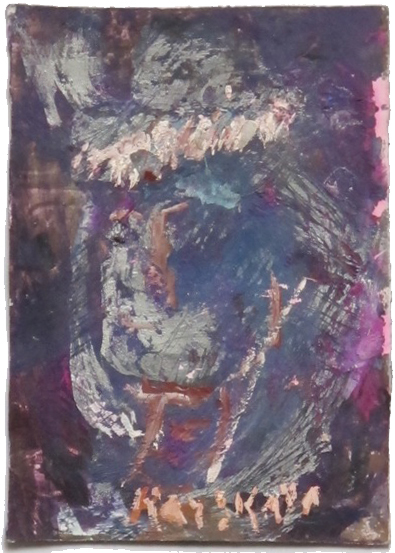 Participates in the show “Peintures sur papier” (Paintings on Paper), Galerie La Roue, Paris. Participates in a show in Galerie Kasper in Lausanne and in a show in Galerie Breteau, Paris. 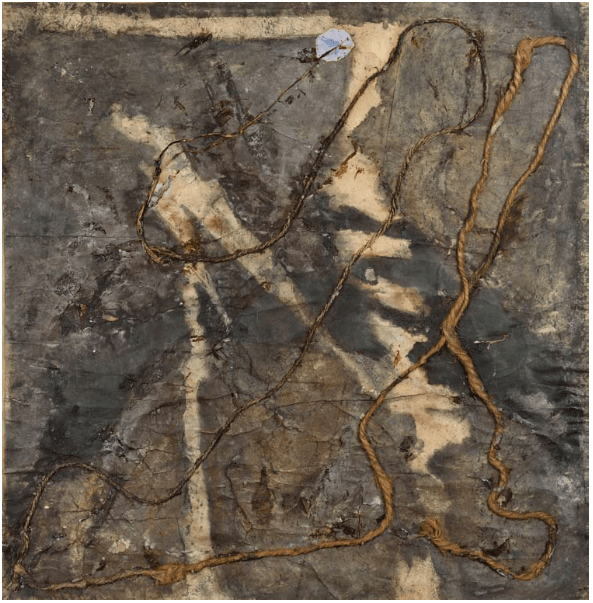 1960: In Torino, Italy, participates in a show in Galeria “Il grifo”, preface by Benjamino Joppolo. Participates in “Antagonismes,” Musée des Arts Décoratifs, in Paris. One-woman show in the United States, University of Rochester, NY. 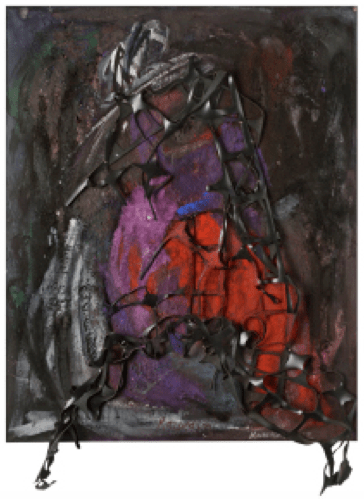 Participates in several group shows in Galerie Karl Flinker as well as Galerie La Roue, Paris. 1961: Karskaya travels to the United States and to Mexico. Participates in a group show “Essai pour une peinture de demain” (Essay for Tomorrow’s Painting), 18 paintings chosen by René Drouin, in Galerie Marcel Dupuis, Paris. Participates in the show “collages et décollages” in Galerie Le Soleil dans la tête (J.J. Levêque), Paris. Participates in the annual show of the Women’s International Art Club in London. Hanover Gallery and Gallery One, London. Participates in the show “Le Relief II”, Galerie XXe siècle, Paris. 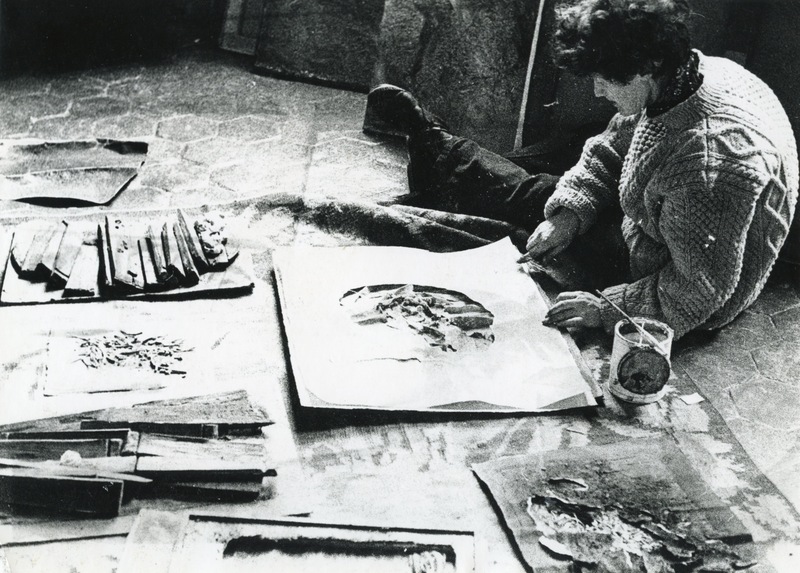 1963: One-woman show in Galerie Argos, Nantes, (France). Participates in the show “l’Oeil de Bœuf” (Cérès Franco) in Galerie 7 in Paris, preface by Michel Ragon. Participates in the show “Ligne 4” in Montrouge, preface by Roger Van Gindertael. 1964: Participates in the French show in the Beaux-Arts Museum of Montréal, Canada, and in a show in Galerie Horn in the city of Luxemburg. 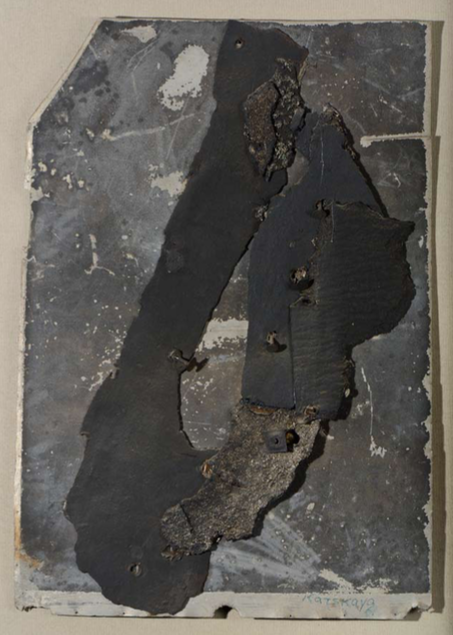 Participates in the show “Cinquante ans de collages” (50 Years of Collages) in the museum of Saint-Etienne and in the Musée des Arts Décoratifs in Paris. 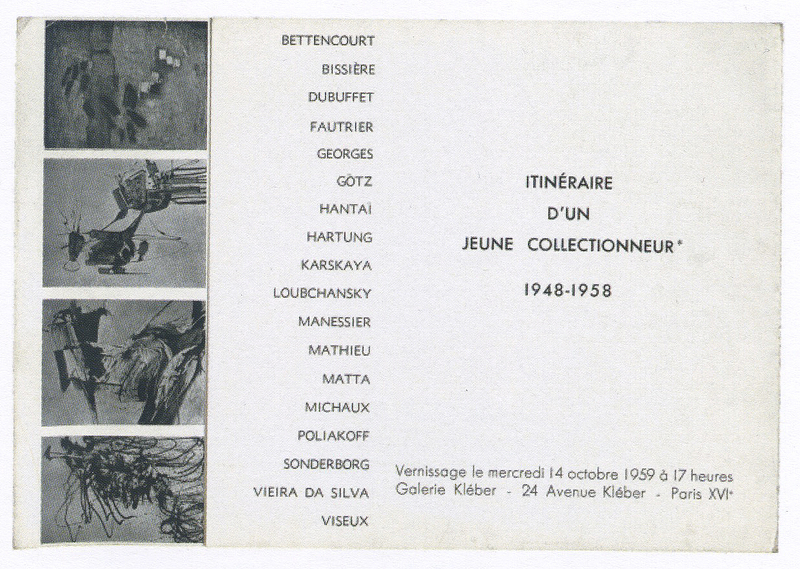 1965: Exhibition in Galerie La Roue, Paris: “Les Invités de Minuit” (The Midnight Guests), a series of collages produced in collaboration with the painter Hester Hess. 1966: Participates in a show in Aarhus, Galerie 14, Denmark. 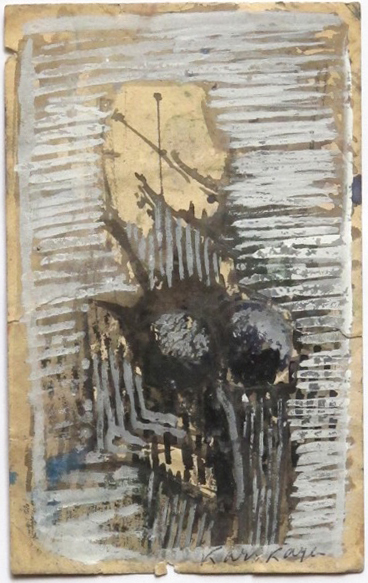 1967: Participates in the show “Jean Paulhan et ses environs” (Jean Paulhan and his Surroundings) Galerie Krugier, Geneva (Switzerland), and in the show: “8 peintres de Paris” (8 Painters from Paris) at the Stedelijk Museum in Schiedam, Holland. Exhibition “Connusinconnus” (Knownunknown) with the painter Chafik Abboud, in Galerie Le Fanal, Paris, as well as in Galerie Simone Florentin in Dieulefit (France). Participates in a show at the FNAC, Paris. Participates in the Salon de Juin, Galerie Argos, Nantes (France). 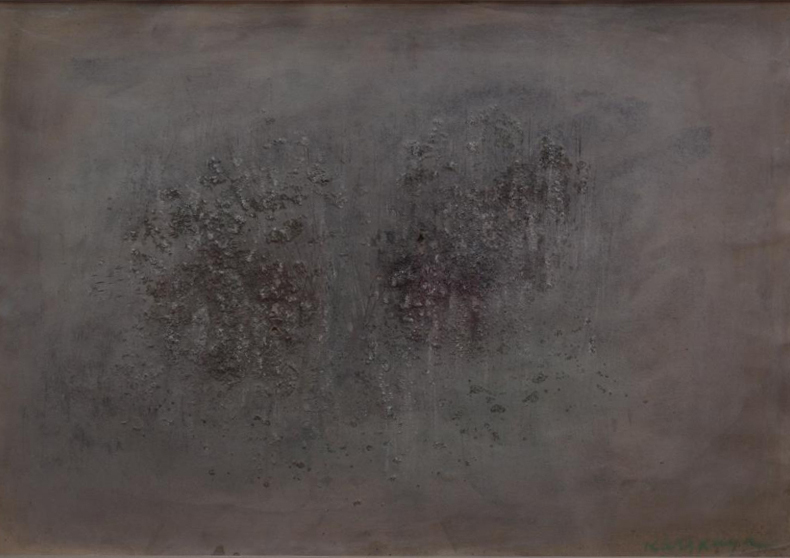 1968: Exhibition “Peintures” with the painters Abboud and Nallard, in Galerie La Roue. Makes several tapestry projects, woven by the Cauquil-Prince atelier. (Subjective Art or the Hidden Face of the World) in the Centre d’Art Contemporain de l’Abbaye de Beaulieu en Rouergue (Center for Contemporary Art of the Beaulieu en Rouergue Abbey), France. One-woman show in the Art Center of Bondues-Marcq, “Septentrion,” Marcq-en-Baroeuil (France). 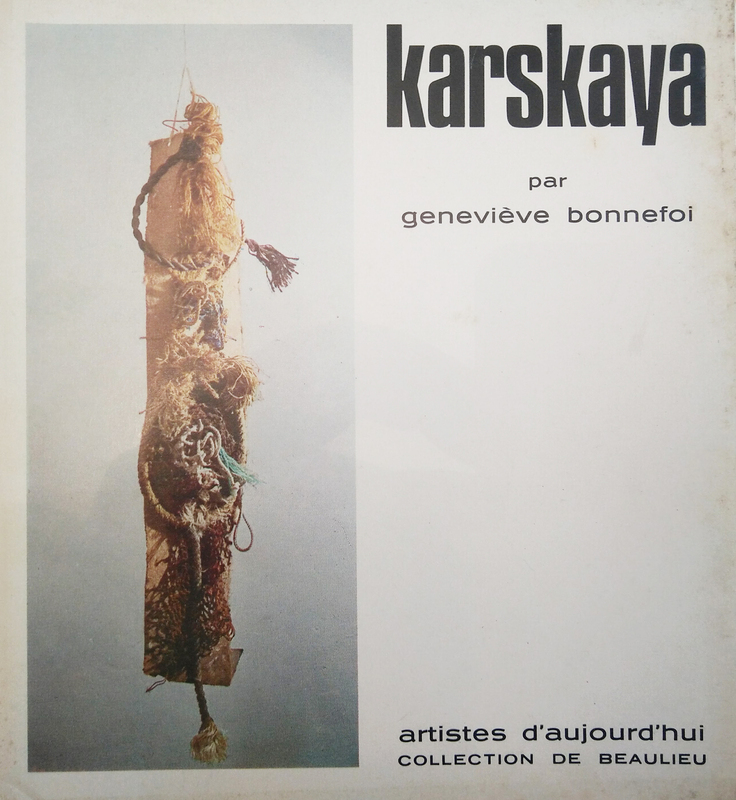 1972: First retrospective show of Karskaya’s work in the Center for Contemporary Art of the Beaulieu en Rouergue Abbey: “Karskaya – vingt-cinq années d’inventions” (Karskaya – twenty five years of invention). A monography on the artist, by Geneviève Bonnefoi, is published. 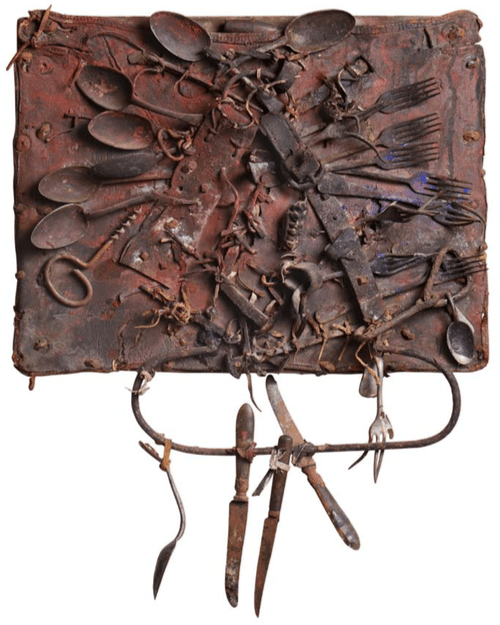 Karskaya participates in a group show “Peintures – Sculptures,” in Galerie La Roue, Paris. 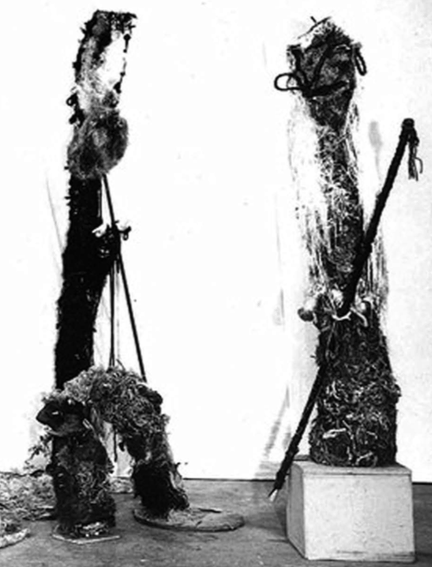 “La tête” (“The Head,” in sisal and rope). 1973: Participates in group shows in Galerie La Roue, Paris. Participates in the show “Pariser Graphik für die Graphotek Berlin” in Berlin. Participates in the show “Bertrand Russell Centenary” in the Rotunda Gallery in London. 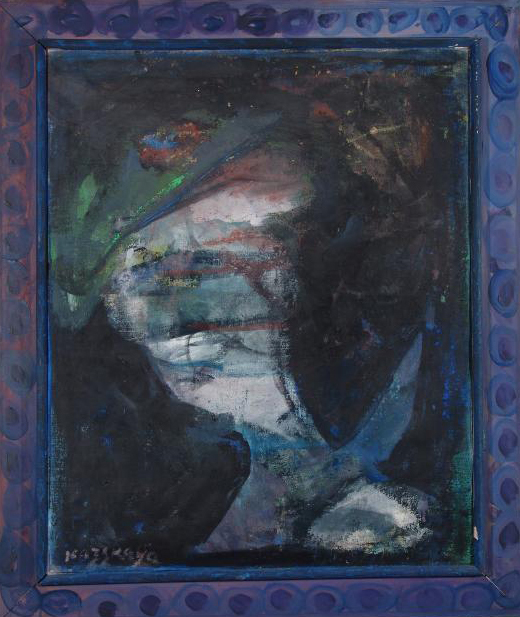 Participates in the show “Trois peintres de l’Ecole de Paris: Abboud, Karskaya, Pierrakos” (Three Painters of the Paris School…), Galerie de Ark, Boxtel, Holland. 1974: Participates in the show “Jean Paulhan à travers ses peintres” (Jean Paulhan Seen Through his Painters), Grand Palais, Paris. Participates in the show “L’homme et son empreinte” (Man and his Marks) in the Château de Sainte-Suzanne (Mayenne, France). Exhibition “Ida Karskaya, Maria Manton, Vera Pagava” in Villeneuve-sur-Lot (Lot, France). Participates in the « Fifth Biennale » of Villeneuve-sur-Lot. Participates in the show “Carte Blanche à Abboud : pour une peinture sans discours” (Carte Blanche for Abboud: for an Art Without Discourse), Centre Culturel du Chaperon Vert, Gentilly. 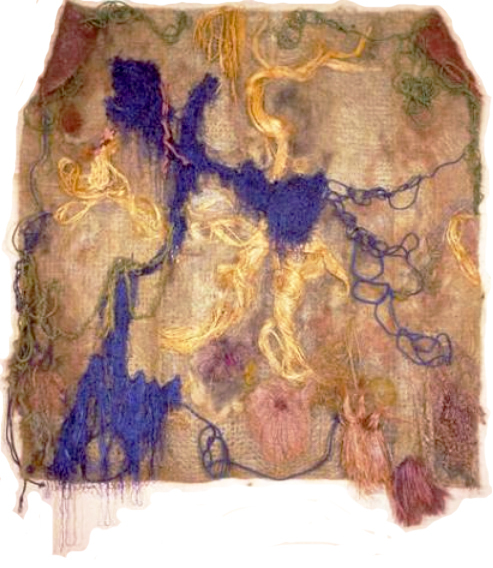 Karskaya receives an order for a large tapestry, which she creates in her own studio: “Mémoires d’un noyé” (Memories of a Drowned Man). 1975: Participates in the Lausanne Tapestry Biennial. One-woman show “Billi-Billi un rien du tout” (Billi-Billi A Mere Nothing) in Galerie Françoise Tournié, Paris. Creates a tapestry “La mise au tombeau” (The Entombment), for the city of Rodez (France). 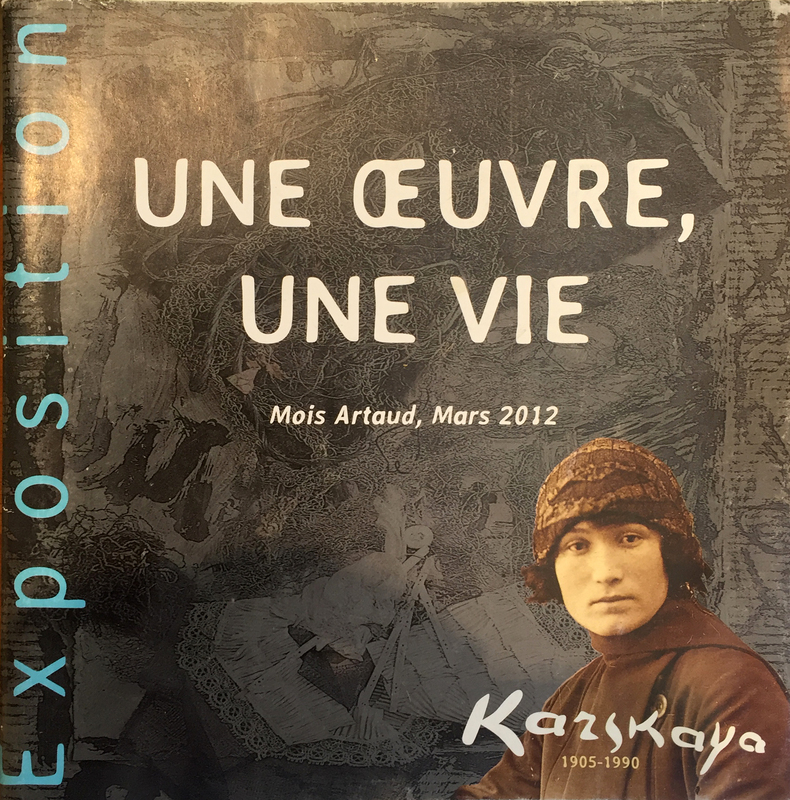 Exhibition “Karskaya – Kijno, Peinture entre les plis”(Karskaya – Kijno, Painting between the Folds) at the Cultural Center of Trappes (France). Participates in the show “Rencontres autour de la Tapisserie” (Meetings around Tapestry) in the Maison de la Culture of Amiens (France). 1976: Participates in the show “La Tapisserie Aujourd’hui” (Tapestry Today), in the Ingres Museum in Montauban (France). Participates in the show “Tapisseries d’aujourd’hui” (Today’s Tapestries) in Saint Michel sur Orge (France). Participates in the show “Boîtes” (Boxes), A.R.C., Museum of Modern Art of the City of Paris. Creates a tapestry “Horoscope d’un inconnu” (Horoscope of a Unknown Man), which will be shown in the Museum of Montauban, in the Cleveland Museum (USA), in the Museum of Tours (France), and in the Museum of Tunis (Tunisia). Participates in the show “65 peintres et sculpteurs témoignent leur amitié à Roger Van Gindertael” (65 Painters and Sculptors express their friendship for Roger Van Gindertael) in Galerie Ariel and in Galerie Jeanne Bucher, Paris. 1977: Participates in the show “Fiberworks”, Cleveland Museum (U.S.A.). Participates in the show “Tapisseries,” Bibliothèque Forney, Paris. Participates in the show “Drapeaux, cerfs-volants et bannières” (Flags, Kites, and Banners) in Seattle (U.S.A.). Creates a large sculpture for a school in the city of Bagneux (France). 1978: The show “10 artistes inspirés par un carton” (10 Artists Inspired by a Sketch) is held in Galerie Principe, Paris, based on a project for a tapestry by Karskaya. 1979: Participates in the show “Vivante Tapisserie Française” (Living French Tapestry), Grand Palais, Paris. One-woman show in Galerie Arts Contemporains, Paris. Participates in the show “Regards vers l’Est” (Looking East) in Galerie Françoise Tournié, Paris. 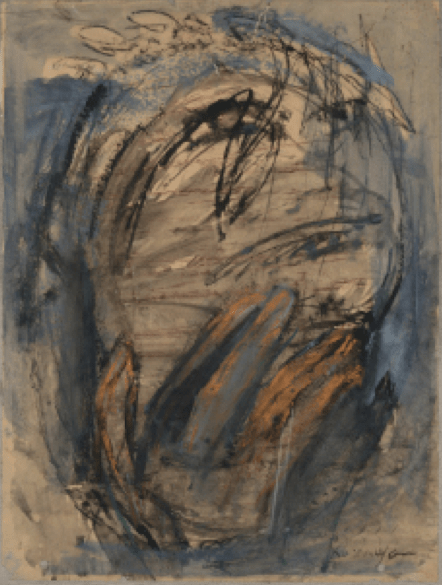 1980: Retrospective show of Karskaya’s work in the Fondation Nationale des Arts Graphiques et Plastiques (National Foundation for Graphic and Plastic Arts), Paris. 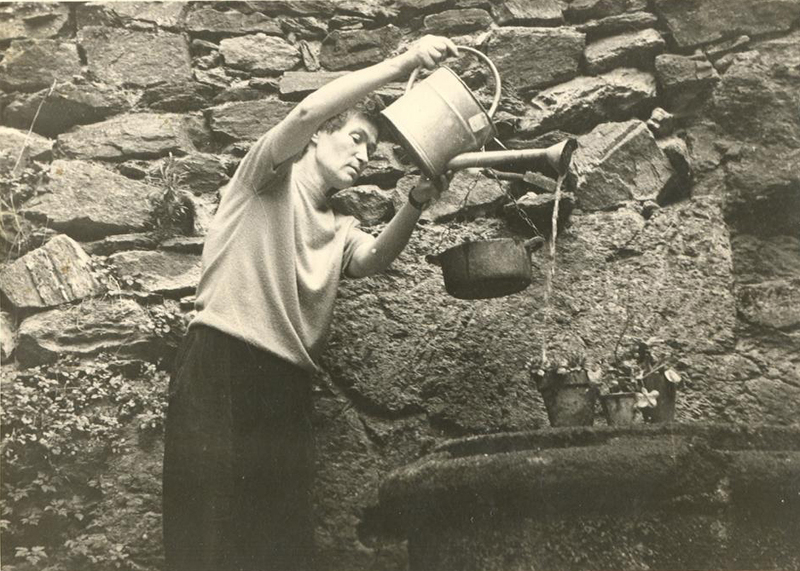 Participates in the show “Autour d’une Collection 1945/1980″(Around a Collection 1945/1980), Donation Geneviève Bonnefoi, Beaulieu en Rouergue Abbey (France). Participates in the show “Carrefour de recherches” (The Crossroads of Research), Galerie Parnass, Wuppertal, (Germany). Participates in the show “Tapisserie et Poésie” (Tapestry and Poetry) in Sainte Geneviève des Bois and in the Basilica of Saint Denis (France). Participates in the show “Présence Textile” (Textile Presence), Genevilliers (France). Participates in the show “Le dos, l’envers et l’endroit” (Upside-Down, Inside and Out), Association “Le temps de voir”, Sens (France). Participates in the International Fair of Dusseldorf, Germany. 1981: One-woman show in Galerie Praestegaarden (Denmark). Participates in the show “Artistes Français,” Museum of Tunis (Tunisia). Participates in the show “Formes Rituelles” (Ritual Shapes), Château d’Ancy-le-Franc (France). One-woman show, Galerie Limmer, Freiburg (Germany). Participates in the show “Paris-Paris,” Centre Georges Pompidou, Paris. Participates in the show “Boites, peintures, objets surréalistes” (Boxes, Paintings, Surrealistic Objects), Galerie Françoise Tournié, Paris. Participates in the International Fair of Basel (Switzerland), as well as in the International Fair of Cologne – Galerie Limmer. in the Goethe Institute in London. One-woman show in Wilhelmshaven (Germany). Participates in the show “Petits Formats” (Small Formats), Galerie Becher, Wuppertal (Germany). Participates in the show “Union des Femmes Françaises” (Union of French Women), Paris. Participates in the International Art Fair in Basel (Switzerland). Participates in F.I.A.C. (Paris) – Galerie Françoise Tournié. Participates in a group show, Galerie Praestegaarten (Denmark). 1983: One-woman show, Galerie Becher (Germany). One-woman show, Galerie Praestegaarden (Denmark). Participates in the show “Petits Formats” (Small Formats), Galerie Limmer, Freiburg (Germany). Participates in the show “Treffpunkt Parnass”, in Mulheim (Germany). Participates in the show “Peintres et sculpteurs russes de France” (Russian Painters and Sculptors of France), Hôtel de Malestroit, Bry-sur-Marne (France). Participates in the International Fair in Cologne (Germany). 1984: Participates in the show “Autoportrait” (Self-portrait) at the Galerie Municipale Edouard Manet, Genevilliers (France). Participates in the International Fair in Basel (Switzerland) – Galerie Limmer. Participates in the show “La part des femmes dans l’art contemporain” (Women’s Share in Contemporary Art), Galerie Municipale de Vitry/Seine (France). 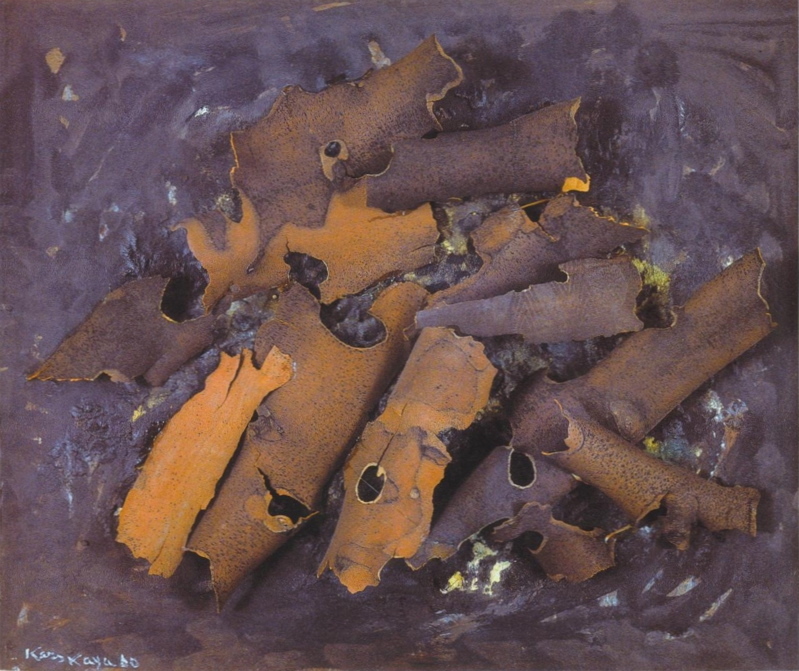 1985: Participates in the show “De la peinture et de l’écrit” (On Painting and Writing) Galerie le Bateau-Lavoir, Centennial of Jean Paulhan, Paris. Participates in the show “Jean Paulhan,” Maison de la Poésie, Paris. Participates in the show “Gesichter und Figuren Weinachtaustellung”, Galerie Becher, Wuppertal (Germany). Participates in the show “Architextures 85,” Ecole Nationale Supérieure des Beaux-Arts, Paris. 1986: One-woman show, Galerie Limmer, Freiburg (Germany). Participates in the show “Le cheminement et l’évolution de l’écriture textile depuis 40 ans” (Progress and Evolution of Textile Scripture in the Last 40 Years), presented in the Abbey of Saint-Germain in Auxerre, as well as in Aubusson (France). Participates in the International Fairs in Basel and Cologne – Galerie Limmer. 1987: One-woman show, Galerie Praestegaarden (Denmark). One-woman show, Galerie Rolf Ohse, Bremen (Germany). Participates in the International Fair in Basel – Galerie Limmer. Participates in the show “Tapisseries,” Abbaye de Beaulieu en Rouergue (France). 1988: Participates in the Art Basel fair (Switzerland) – Galerie Limmer. 1989: One-woman show, Galerie Philip, Paris. Participates in the show “Le relief des années cinquante à nos jours” (Relief from the 1950’s to Today), Beaulieu en Rouergue Abbey (France). 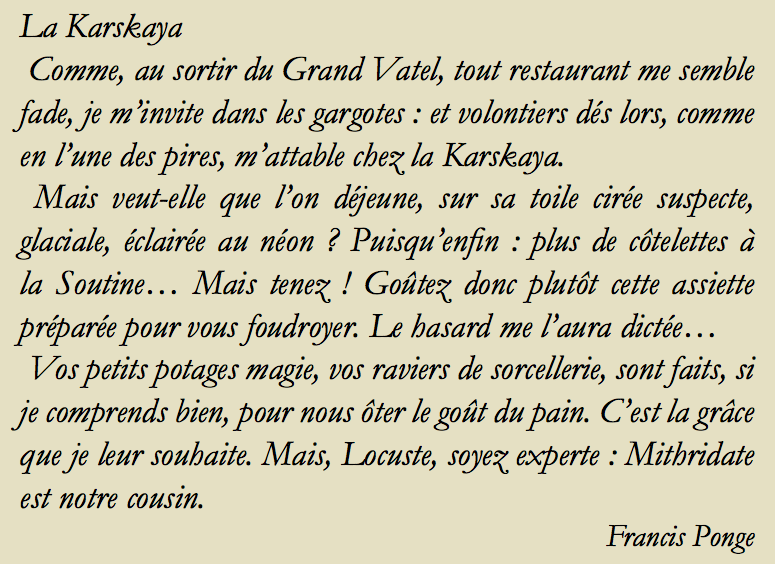 1990: Karskaya dies in Paris, on March 23rd. Galerie Limmer edits a catalogue and hosts a one-woman show of Karskaya at the International Art Fair in Cologne (Germany). 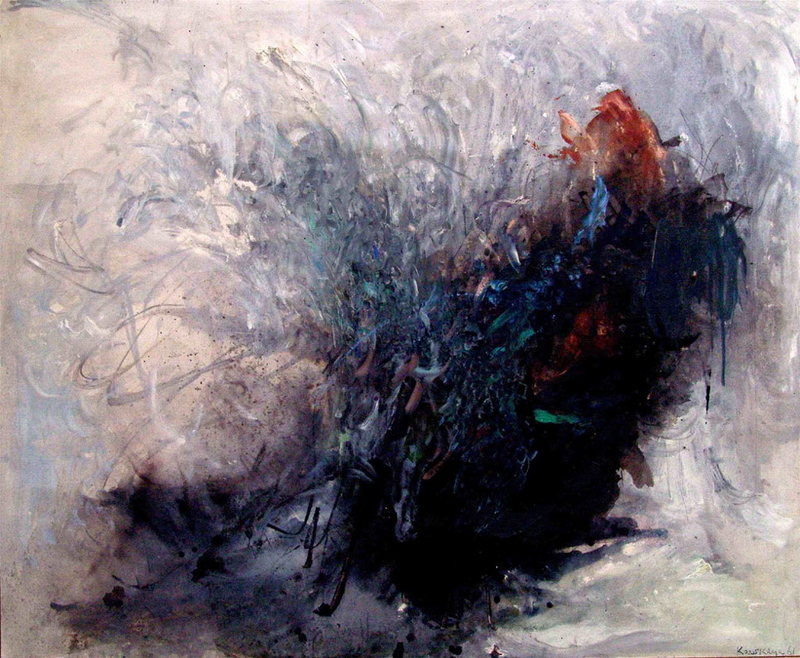 “Hommage à Karskaya” (Tribute to Karskaya) is part of the exhibit of the Collection of the Beaulieu en Rouergue Abbey (France). 1991: Exhibit with Coppel, Karskaya, Villéglé, Jacquart, in Galerie Véronique Smagghe, Paris. Exhibit “Rencontres, 50 ans de Collages” (Encounters: 50 Years of Collage) in Galerie Claudine Lustman. 1992: One-woman show, Galerie Philip, Paris. Exhibit “collages, décollages, images détournées” (Collages, Decollages, Diverted Images) in the Musée Ingres in Montauban (France). Exhibit “Formats d’hiver” (Winter Fomats) in Galerie Véronique Smagghe. One-woman show in “La Petite Galerie,” rue de Seine, Paris. 1993: One-woman show, Galerie Arnoux, Paris. Exhibit: “80 ans de Collage” (80 years of Collages), Ardurance, Digne (France). 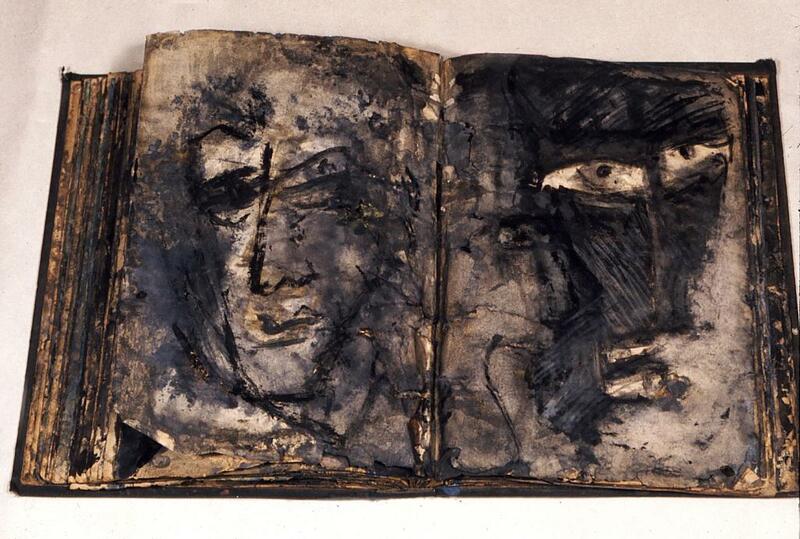 Exhibit « Carnets et drawings » (Notebooks and Drawings), Galerie Pierre Brullé, Paris. 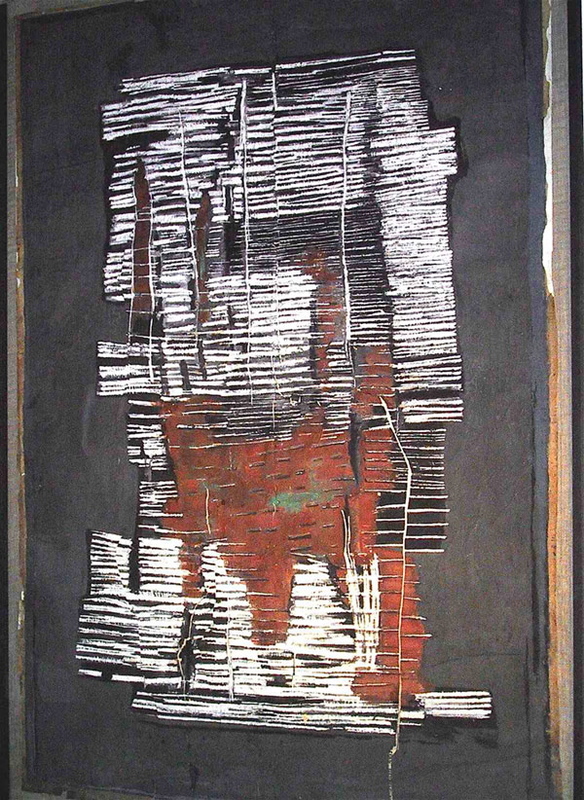 1994: Exhibit: “Le Siècle des Collages” (The Century of Collages) in La Galerie, rue Guénégaud, Paris. 1995: One woman show “Les Invités de Minuit” (The Midnight Guests), Galerie Arnoux, Paris. 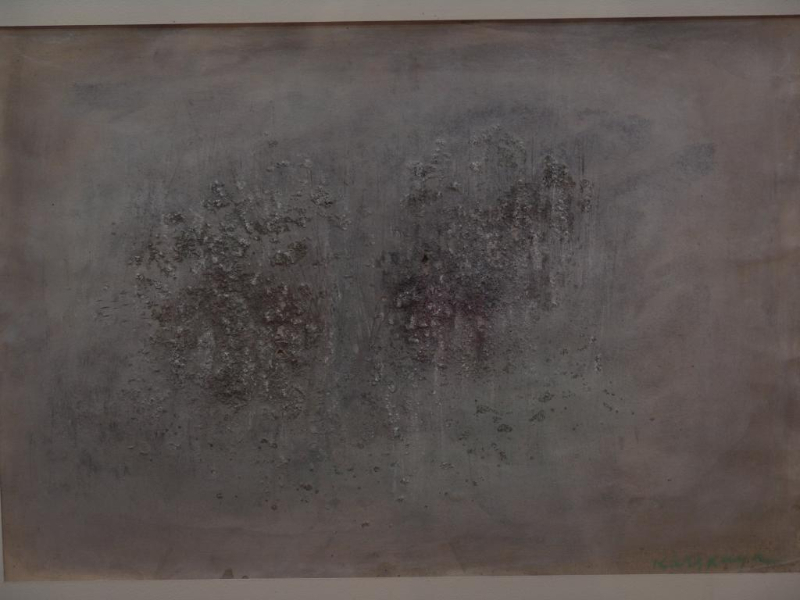 One-woman show “Gris Quotidiens” (Daily Grays), Galerie Pierre Brullé, Paris. 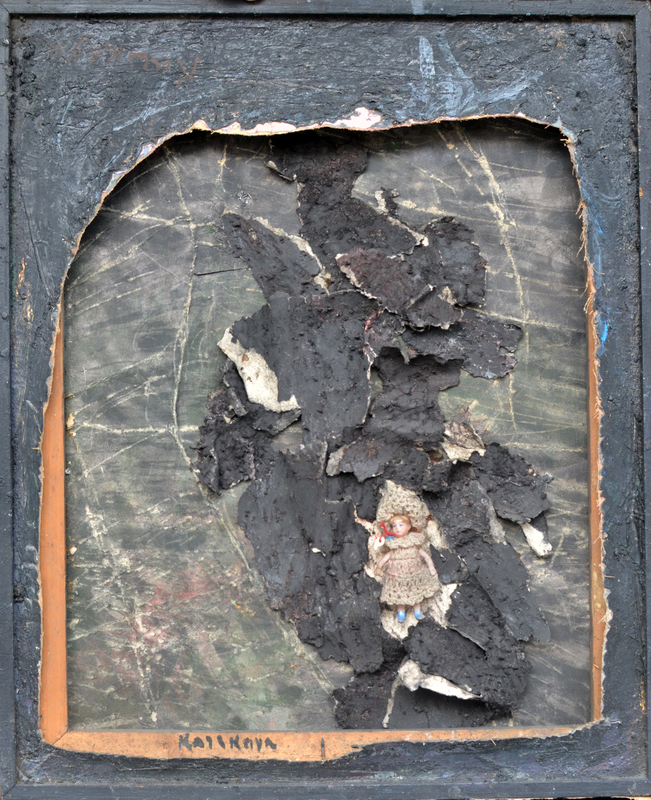 One-woman show “Collages”, Galerie Philip, Paris. 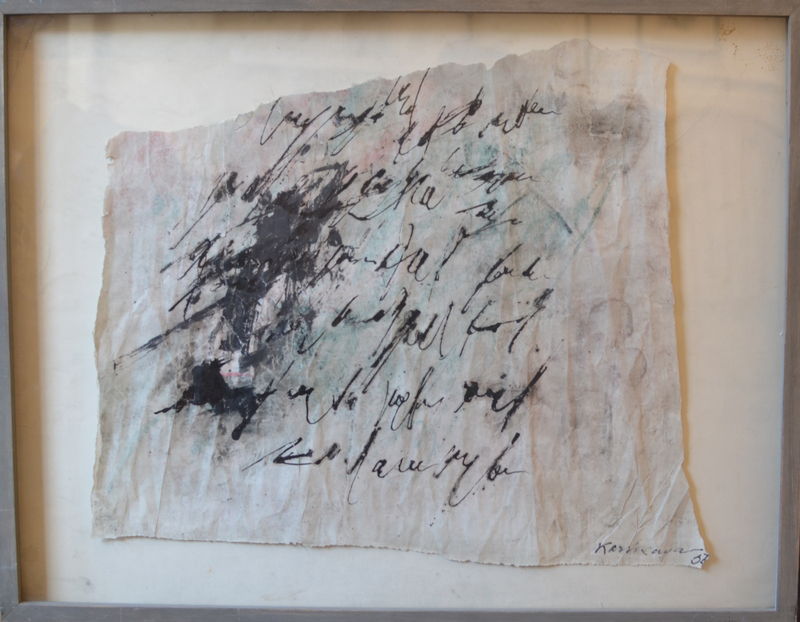 Exhibit “Autour du Papier” (Around Paperwork) in the Bouchemaine Abbey, near Angers (France). 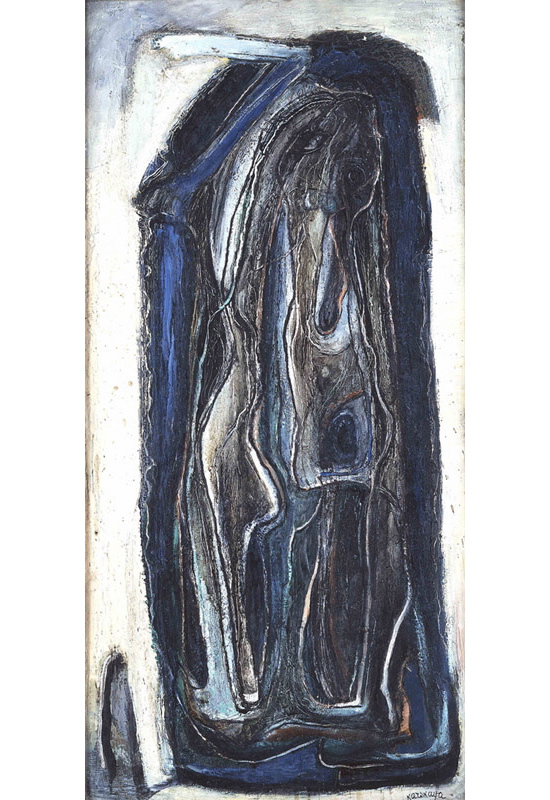 1996: Exhibit “Dimensions de l’infini” (Dimensions of Infinity) in Galerie Pierre Brullé, Paris. 1997: Exhibit “Hommage à Geneviève Thévenot” (Tribute to Geneviève Thévenot) in the Museum of Modern Art in Troyes, France. One-woman show in the Collégiale Saint-Pierre-le-Puellier, Orléans (France). Retrospective show of Karskaya’s work in the P.A.B. (Pierre André Benoit) museum in Alès, France. 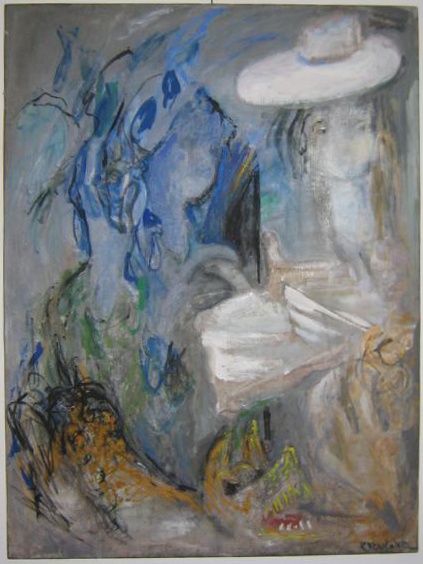 One-woman show (1947-57) in Galerie Pierre Brullé, Paris. 2000: Group exhibit in Galerie Véronique Smagghe. 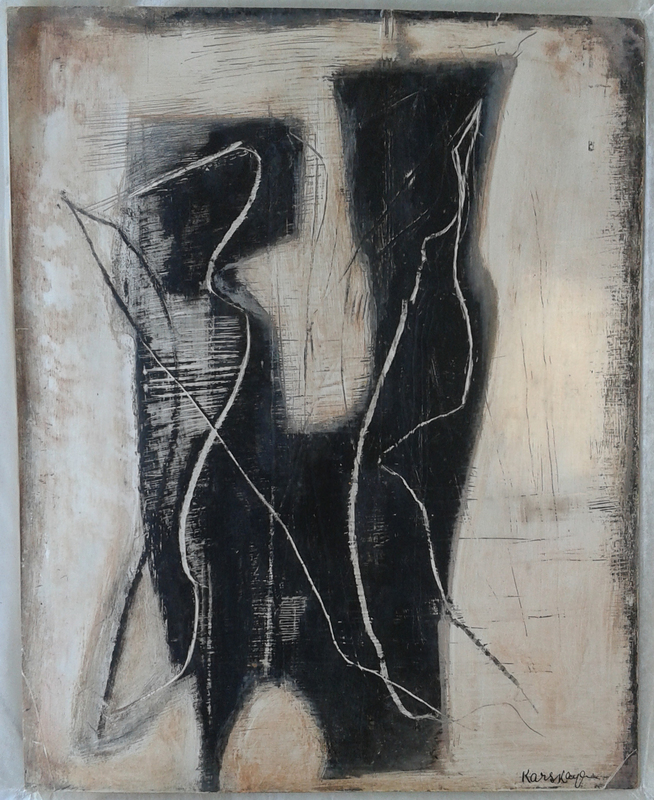 Exhibit “Karskaya / alltägliches Grau” (Karskaya / Daily Grays), Galerie Limmer, Cologne, Germany. 2001: Exhibit “Trois créateurs de la tapisserie contemporaine” (Three Creators of Contemporary Tapestry) in the Center for Contemporary Art of the Beaulieu en Rouergue Abbey, France. 2002: Exhibit “Les Années de Combat” (The Fighting Years) in Orléans, France. 2003/04: Exhibit “Paris Russe” (Russian Paris) in the Russian National Museum of Saint-Petersburg, Russia, the Von der Heydt-Museum of Wuppertal, Germany, and the Musée des Beaux-Arts in Bordeaux, France. 2005: Retrospective show of Karskaya’s work in the Beaulieu en Rouergue Abbey, France, in celebration of the centenary of her birth. 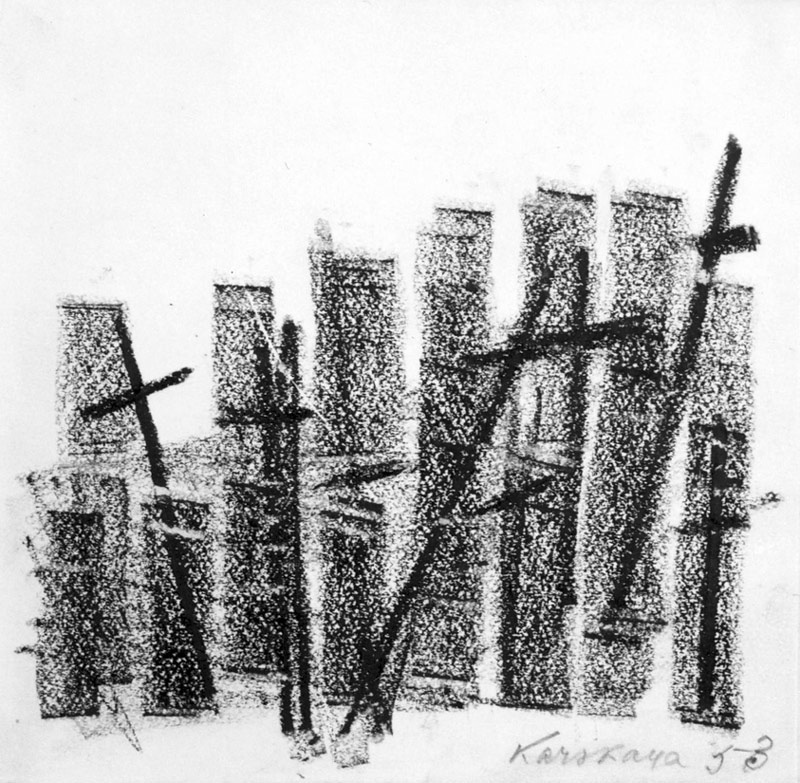 2008: One-woman show “KARSKAYA,” September 25 – October 25, in Galerie 53, 53 rue de Seine, Paris. 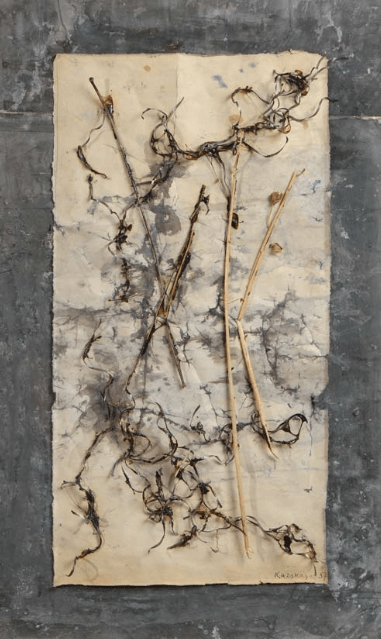 Exhibit “L’arbre qui cache la forêt” (Can’t See the Forest for the Trees), Ecole des Filles – Espace d’art, Huelgoat, 29690, France, June 18-September 26. 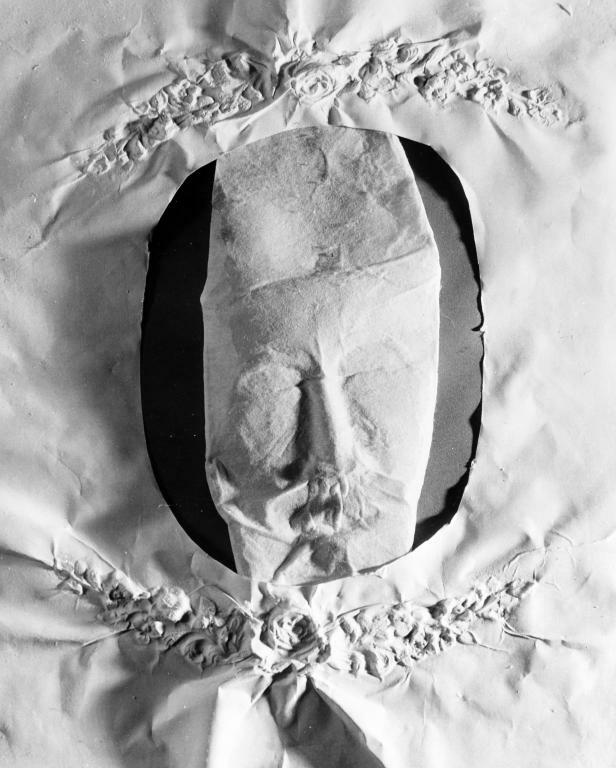 2012: One-woman show in the Antonin Artaud Center, Paraire Chapel in Rodez, 12000, France, March 1 -March 31. 2012: One-woman show in Galerie Convergences, 22 rue des Coutures Saint Gervais, 75003 Paris, March 15-April 15. 2012: One-woman show in Galerie Intuiti, 16 rue des Coutures St Gervais, 75003 Paris, March 15-April 15. 2015: One-woman show in Galerie Intuiti, 16 rue des Coutures St Gervais, 75003 Paris, March 15-April 15. 2015: Presentation in Rodez of the film “Karskaya” produced by the CRNS (French National Center for Scientific Research) in the mid 1980’s.